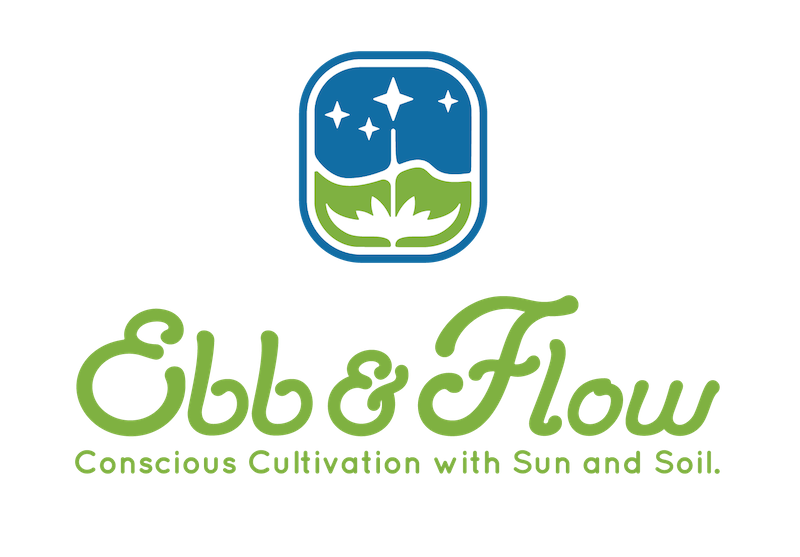 Ebb & Flow is a permaculture inspired, OLCC licensed Cannabis farm located near the beautiful mountain town of Ashland, Oregon. Our mission is to produce the highest grade, potent, diverse, and terpene rich Cannabis possible using regenerative, organic, and biological growing methods. We cultivate with intentions of improving the health of the soil, landscape, and environment. We strive to grow cultivars which are highly effective, aesthetically pleasing and unique, including some well-known favorites. We maintain an extensive line of genetics and aspire to bring new variations to the market. Our philosophy is based on our experience and understanding that by working with regenerative, organic and biological methods, as well as a refined method of curing, the Cannabis we produce expresses itself in a most effective and pleasing way. We strive to provide consumers with the highest quality, organic and consciously grown Cannabis available today.